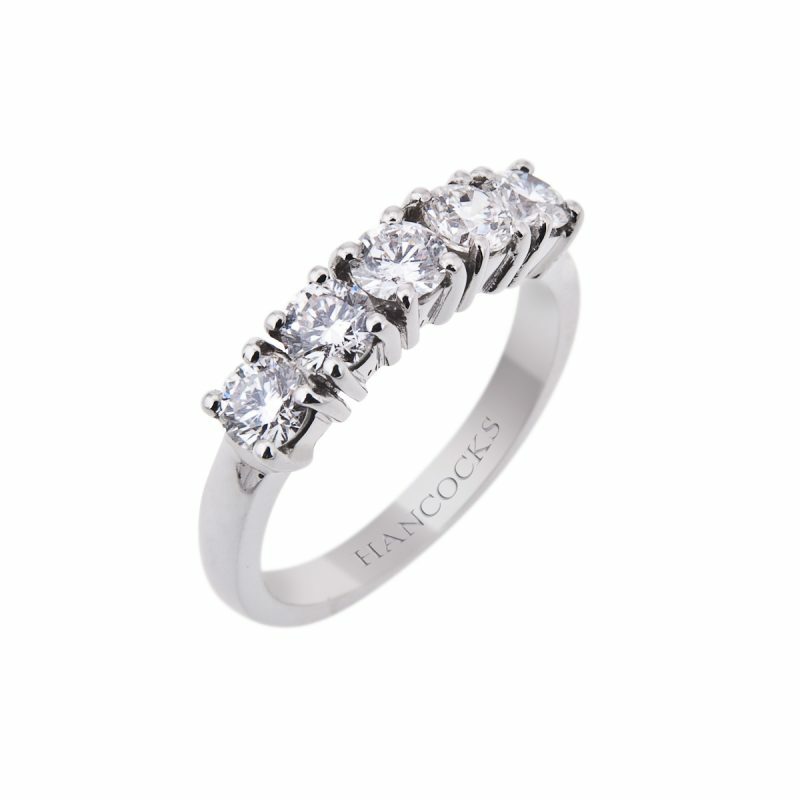 This gorgeous eternity ring is set in the purest of platinum with a single row brilliant cut diamonds, five perfectly matches stones, mounted in a U-collet with a modern and distinctive cog claw set setting. The round cut diamond is a remarkably versatile cut and is ideal for those looking for that timeless design that will always sparkle brightly. 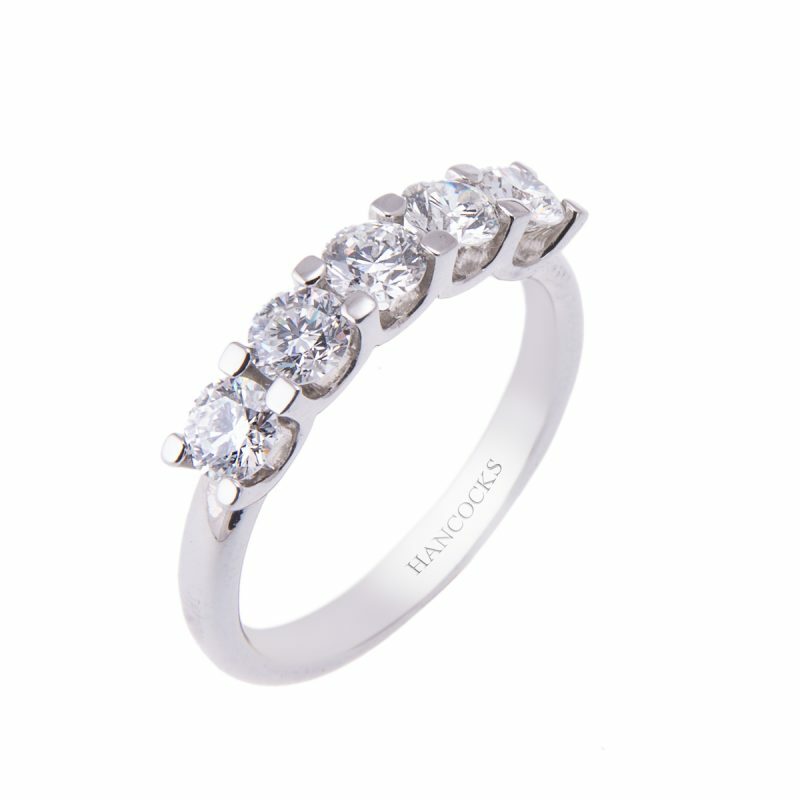 Diamond set luxury for you to cherish always.